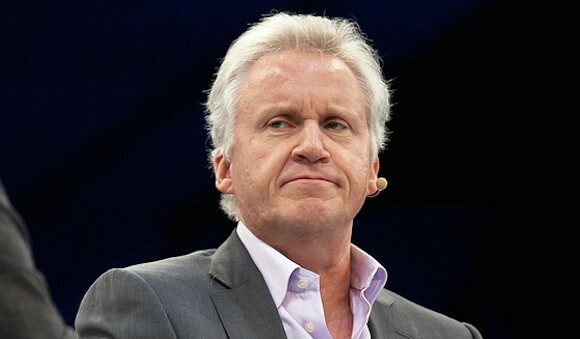 Fortune magazine estimates that Immelt will walk off with “nearly $211 million,” on top of his regular annual pay. Immelt’s overall General Electric retirement account, an Institute for Policy Studies report calculated last year, rates as Corporate America’s ninth-most generous. Immelt’s annual pay hasn’t been too shabby either. He pulled down $21.3 million last year, even more, $37.25 million, in 2014. But Immelt’s millions don’t come close to matching the haul that his predecessor, the “legendary” Jack Welch, collected in his own two decades at GE’s helm. Welch’s annual compensation topped $144 million in 2000. He stepped down the next year with a retirement package valued at $417 million. What did Immelt and Welch actually do at General Electric to merit their super-sized rewards? What did they add to a GE hall of fame that already included breakthroughs like the first commercial electric power station (1882), the first high-altitude jet engine (1949), and the first laser lights (1962). And not surprisingly either. Mature business enterprises, we have learned over recent decades, either make breakthroughs for consumers or grand fortunes for their top execs. They don’t do both. Why not? Making breakthroughs, for starters, takes time. Enterprises have to invest in research, in training, in nurturing high-performance teams at every enterprise level. Grand fortunes, by contrast, can come quick. CEOs can do a downsizing here, cut a merger deal there, then sit back and watch short-term quarterly earnings — and the value of their personal stock options — soar. And if the downsizings and mergers don’t do the trick, CEOs can always just cut slash worker pensions or budgets for R&D and put the resulting “savings” into dividends and “buybacks,” two slick corporate maneuvers that jack up company share prices and inflate executive paychecks. On any CEO slickness scale, Jack Welch would have to rank right near the top. In 1981, his first year as the GE chief executive, Welch quickly realized he was never going to get fabulously rich at a GE that sold toasters and irons. So Welch started selling off GE’s manufacturing assets and buying up, as analyst Jeff Madrick notes, “companies that could turn handsome profits with fewer workers.” In Welch’s first two years, he “gutted or sold” businesses that employed 20 percent of GE’s workforce. These moves would end up enriching Welch at a spectacularly rapid rate. By 2000, Welch was making about 3,500 times the income of a typical American family. Welch’s own CEO predecessor at GE, the widely esteemed Reginald Jones, took home $500,000 in 1975. That equaled a mere 36 times the income of that year’s typical American family. In the end, Immelt would inherit the mess that Welch created. Years of what Bloomberg’s Barry Ritholtz calls “fraudulent accounting and fake earnings” would eventually leave GE right in the middle of the 2008 financial industry meltdown. Unfortunately, and sadly, Immelt would never take his own analysis to heart. As a rich GE CEO in his own right, he continued to make mistakes and suffer no particular consequences. One example: After the Great Recession, Immelt froze the GE worker pension system and offered workers a riskier, less generous 401(k). In the five years after the pension freeze, notes the Institute for Policy Studies, the GE pension deficit widened from $18 billion to $23 billion at the same time Immelt’s personal GE retirement assets were nearly doubling to $92 million. Immelt didn’t do particularly good by Americans outside of General Electric either. In 2010, on his watch, GE paid not a penny of federal corporate income tax on profits of $14.2 billion. Corporate tax avoidance like GE’s helps increase the federal budget deficit. Immelt fancies himself a deficit hawk. But instead of looking into the corporate mirror and vowing to clean up GE’s tax act, Immelt spent the Obama years arguing that America’s federal budget deficit required cuts in Social Security and Medicare to fix.